Caffeine, in my humble opinion, is the best form of stimulation for the central nervous system. With that being said, my caffeine addiction has compelled me to do some pretty extensive Internet research over the past few years. So, I decided to share my five favorite caffeine facts with you folks. Enjoy! Caffeine fact #1: The Bible Belt, the Corn Belt, the leather belt. 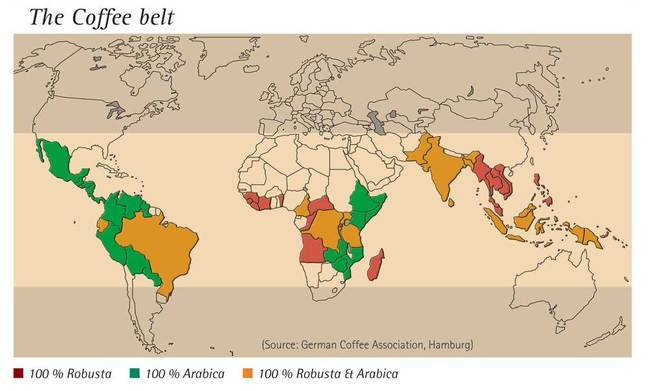 There’s also a thing called the Coffee Belt – which is this fantastic section of the globe that has ideal coffee-growing conditions. I’m currently adding all of these countries to my personal travel destination bucket list. Caffeine fact #2: There’s an Ethiopian legend that traces back to perhaps some of the first realizations of caffeine’s magical powers. According to the tale, shepherds discovered coffee’s energizing effects once their goats started eating coffee berries and subsequently went into hyper-goat mode. Which leads right into caffeine fact #3…. 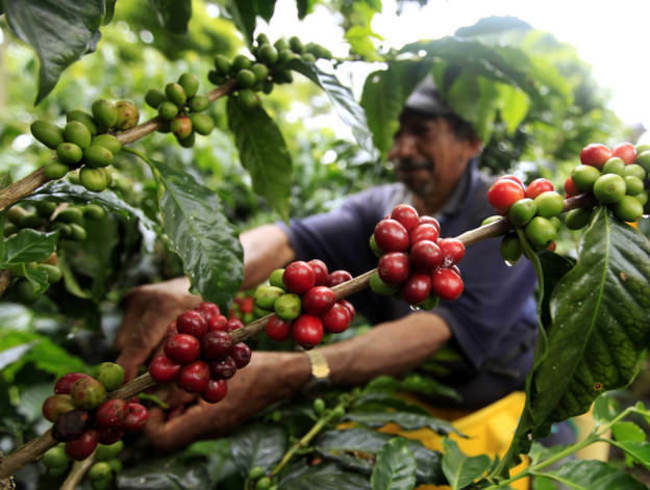 Caffeine fact #3: COFFEE BEANS COME FROM BERRIES. 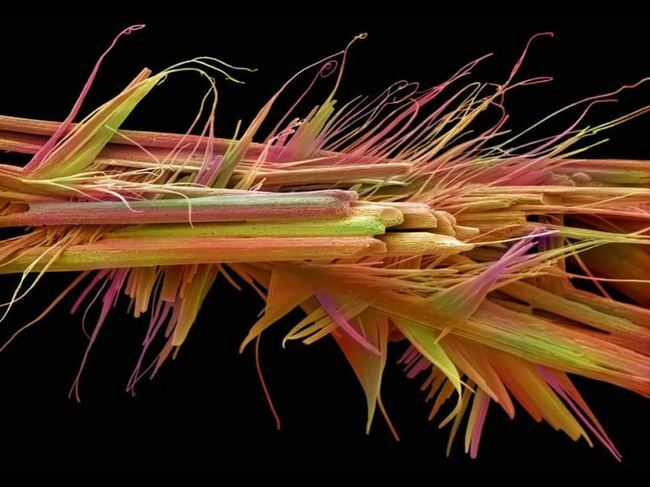 Caffeine fact #5: This is just about as much science as my brain can wrap itself around, but nevertheless, this is what caffeine looks like under a microscope. Caffeine is a crystal compound, but I’m not even going to pretend like I know what that means.